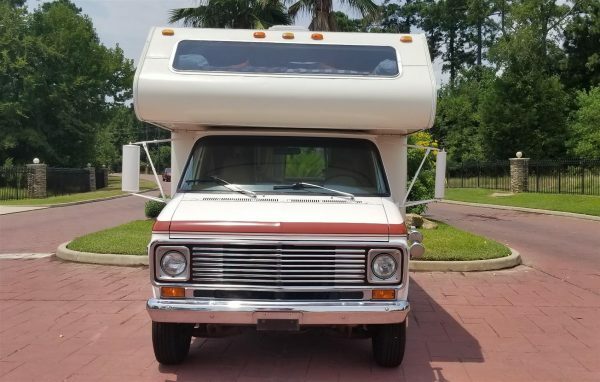 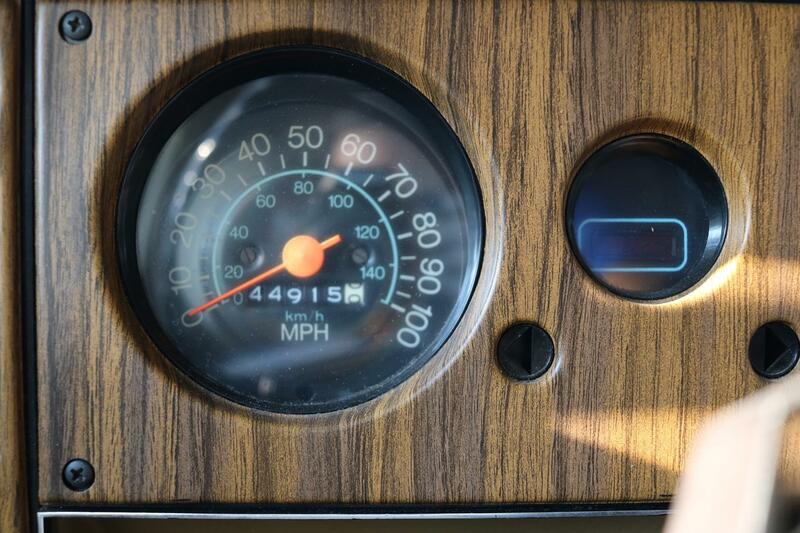 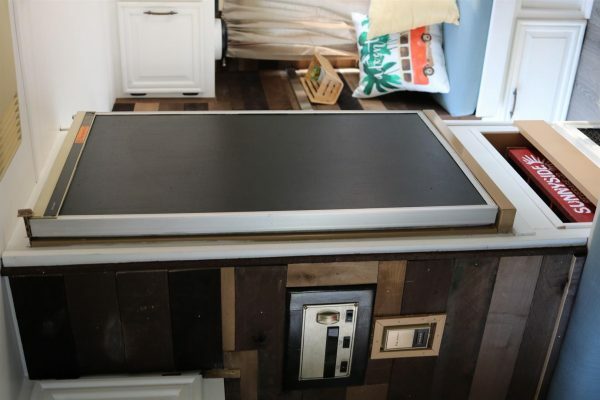 1976 GMC Jimmy Mini RV: V8, Rare RV, Fully Documented, Kitchen, Bath, Turn-key Ready to Drive Anywhere, Fully Restored, New Tires, Only 45k Miles from new! 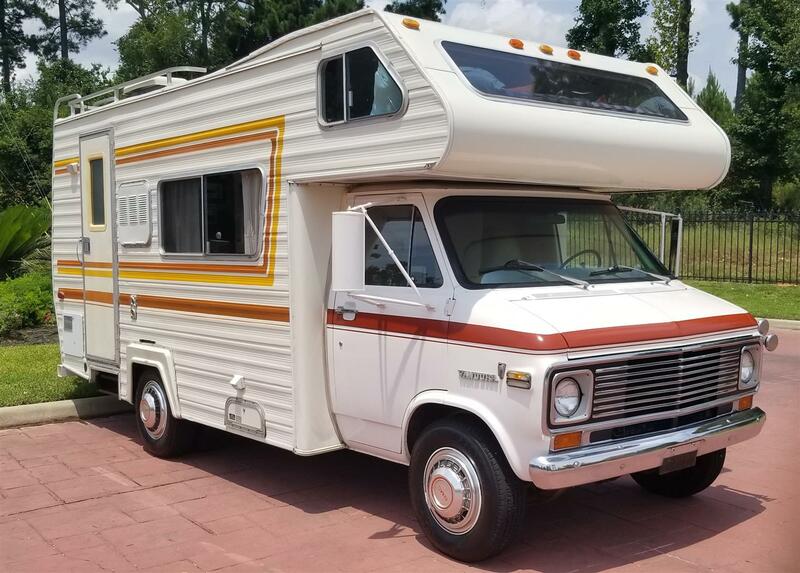 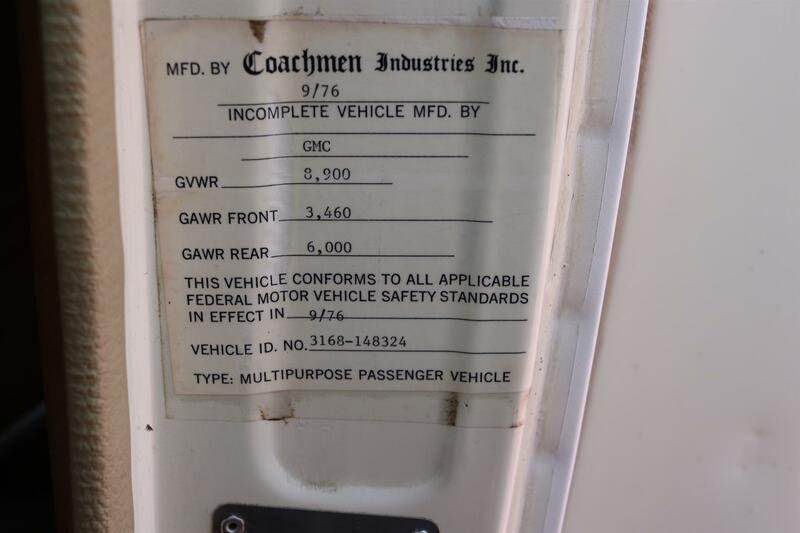 1976 GMC Jimmy Mini RV: This rare GM motorhome has a great history and once located, we felt it made an excellent candidate for restoration. After 38 years of ownership, the original owner of this RV traded it to the 2nd owner in exchange for painting his home. Due to the 2nd owner’s circumstances he lived in this vehicle periodically between 2014 to 2018. 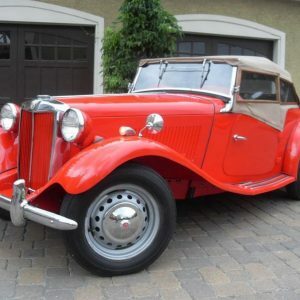 It was parked close by while he remodeled his home and therefore everything was kept in tip-top shape for whenever the need arose to use it. 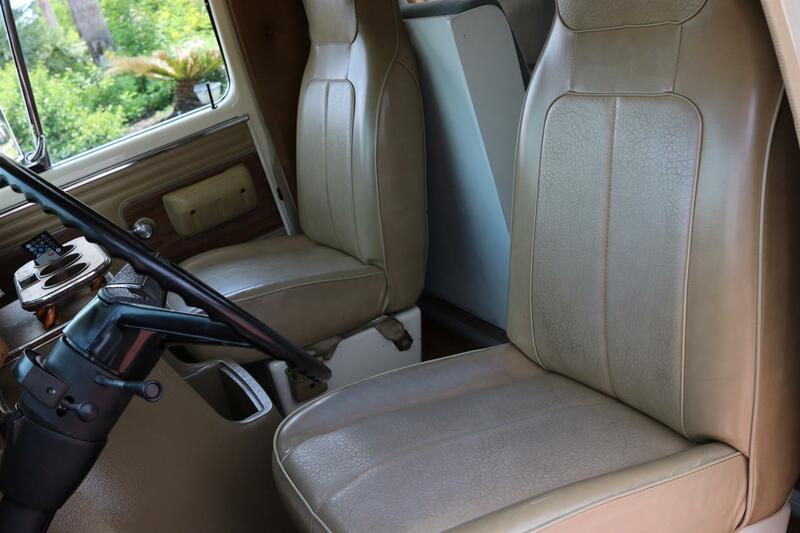 Over the course of the Vandura’s life, both owners kept 100% of the documentation associated with the vehicle. 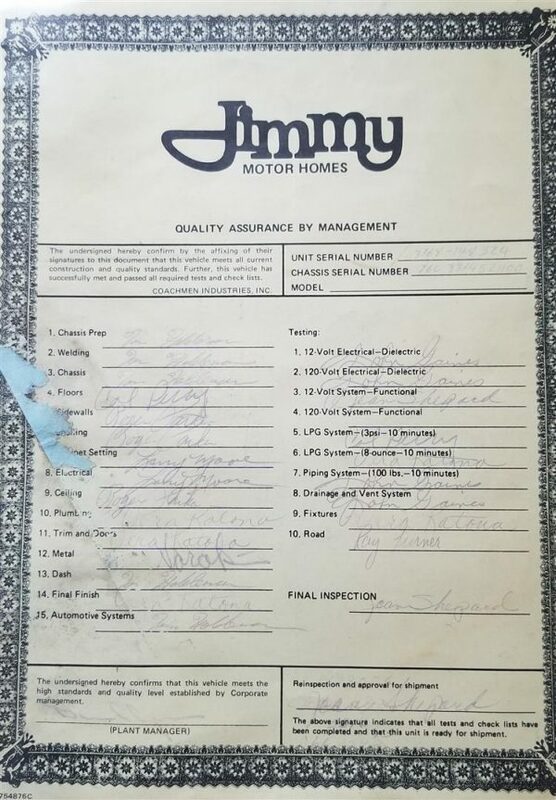 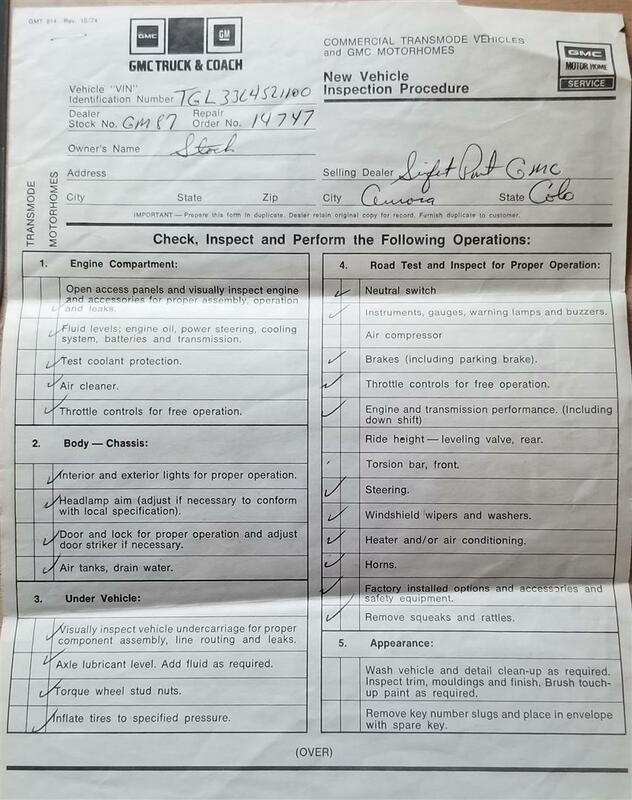 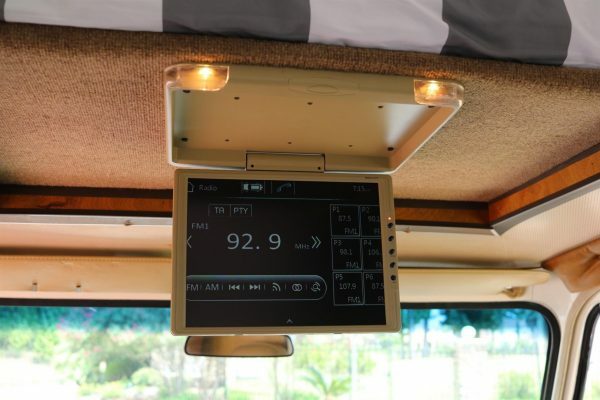 Original owners manuals for the RV and its appliances, period advertising literature, new vehicle inspection report, warranty registration, etc are all present in excellent condition. 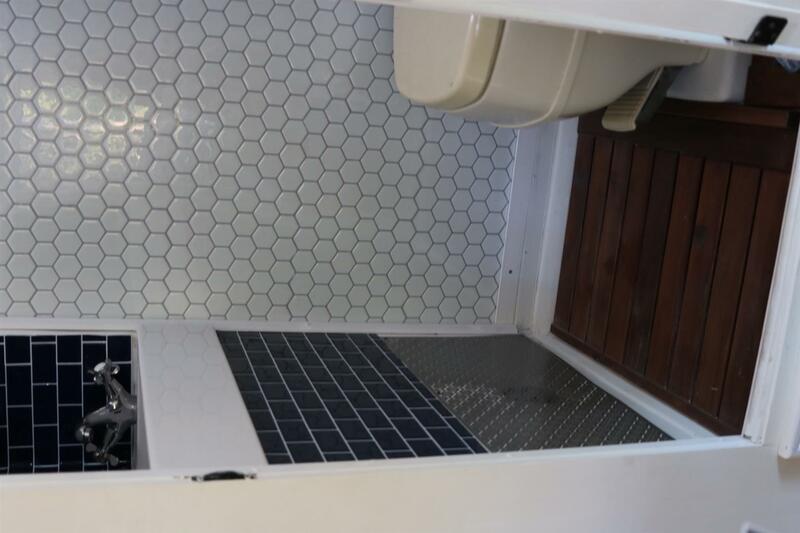 In preparation for resale, the 2nd owner installed all new water heater, water pump, belts, propane valve and a starter among other things. 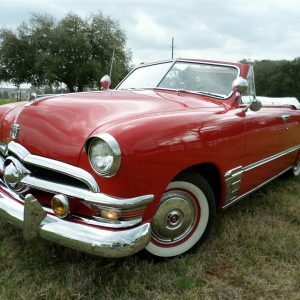 The roof was treated with a coat of Kilz, the sides were re-skinned, and 7 new tires where installed (including spare). 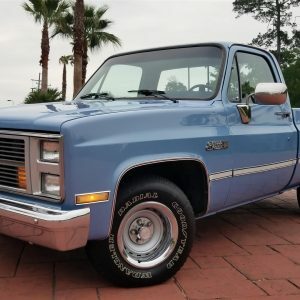 We purchased the GMC in early 2018 with just under 44k original miles and drove it 1,100 miles to Texas without issue. 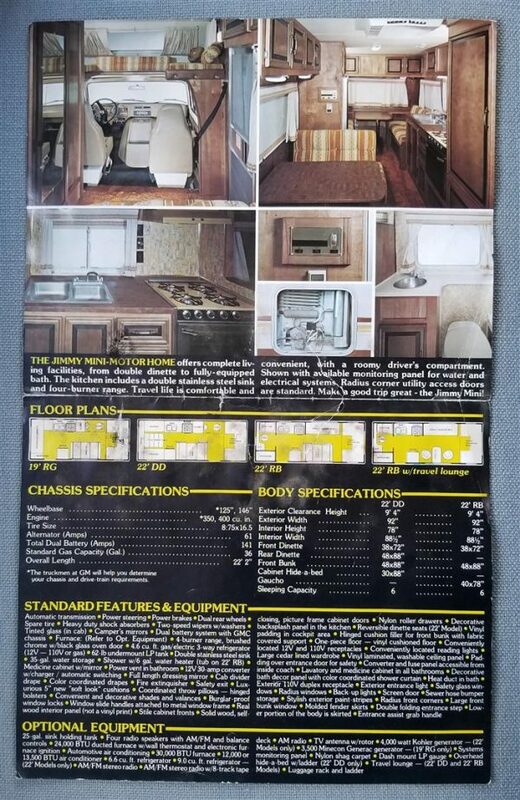 Once back in Texas the RV had all the front sheetmetal repainted. 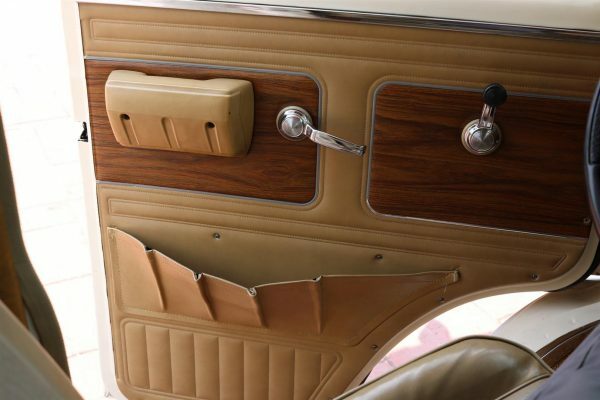 The interior was then extensively remodeled to bring it up to modern standards. 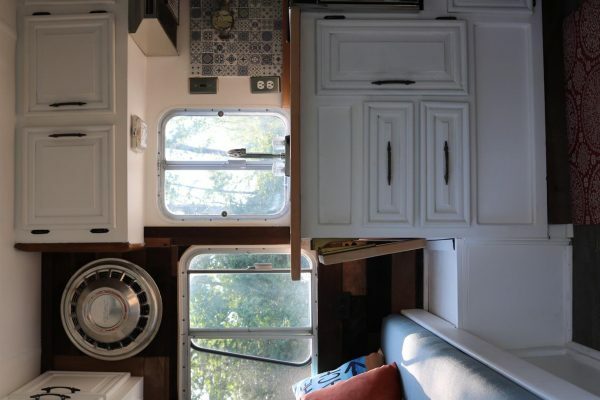 The interior was painted floor to ceiling, new floors were installed, all upholstery was redone with new cushions and fabric, a custom sink was installed in the middle of a newly tiled bath, the kitchen counter was custom made from a butcher block table, new carpet was laid, and the engine cover was given a fresh coat of paint. 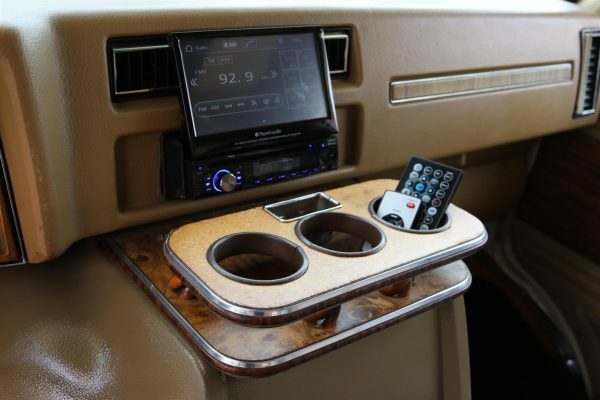 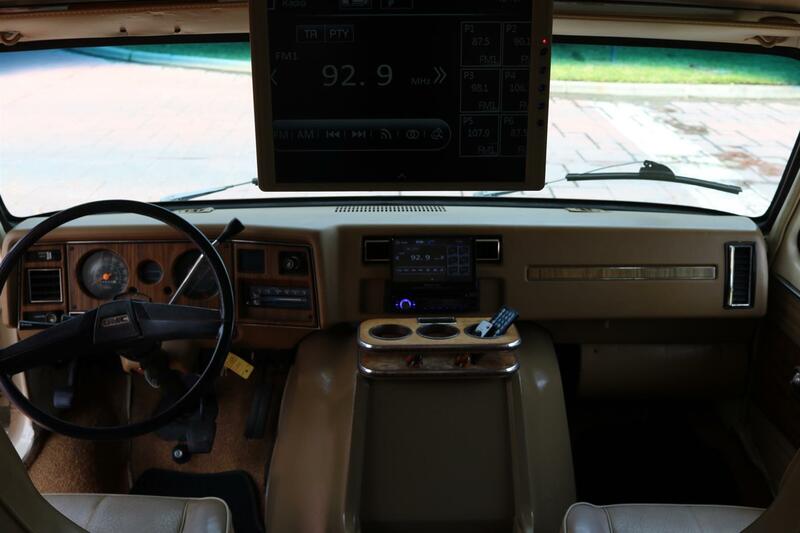 New electronics include; all new speakers, roof mounted DVD player, touchscreen stereo with tilt screen, and a rear view camera. 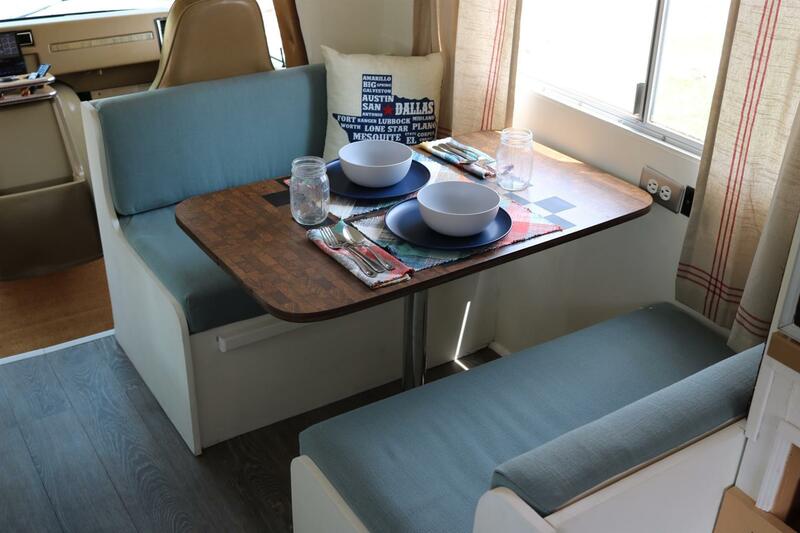 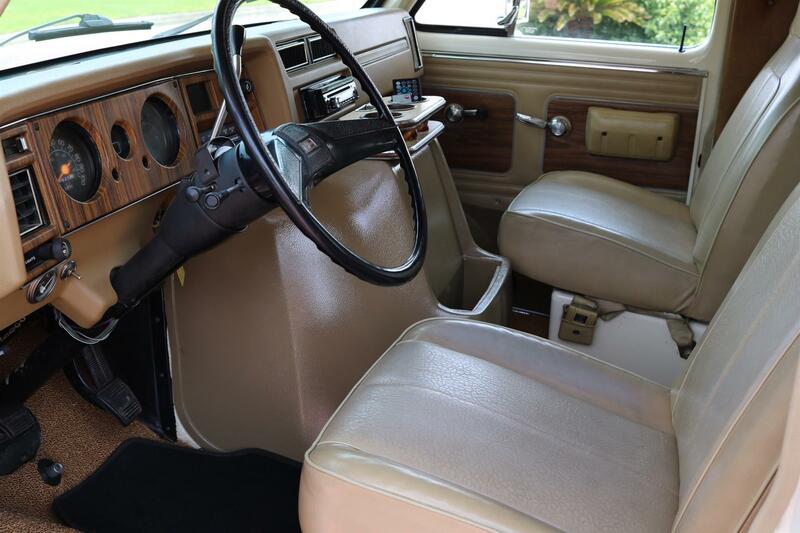 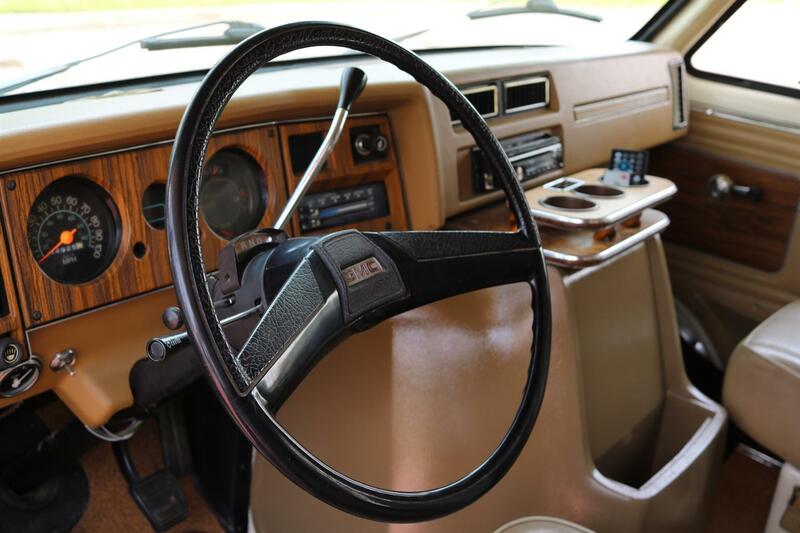 This beautiful GMC Jimmy Mini retains all the classic looks it had in 1976 paired with all the drive-ability and interior decor of a brand new RV. 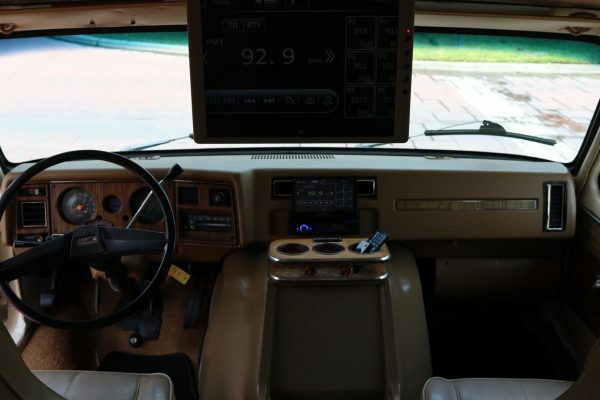 A complete list of options and features includes; 400 ci V8, Automatic, Dual Rear Wheels, Power Steering & Brakes, A/C, Cruise Control, Chrome Grill, Cloth Floormats, Luggage Rack, Rear Ladder, Rearview Camera, Touchscreen AM/FM/CD/Bluetooth/DVD Stereo, Tilt Steering, Kitchen Sink, Oven/Stove, Bathroom, Tire Tools, Tow Package, Full Spare (w/cover), Original GMC Hubcaps, and Thick Firestone 16.5″ Tires! 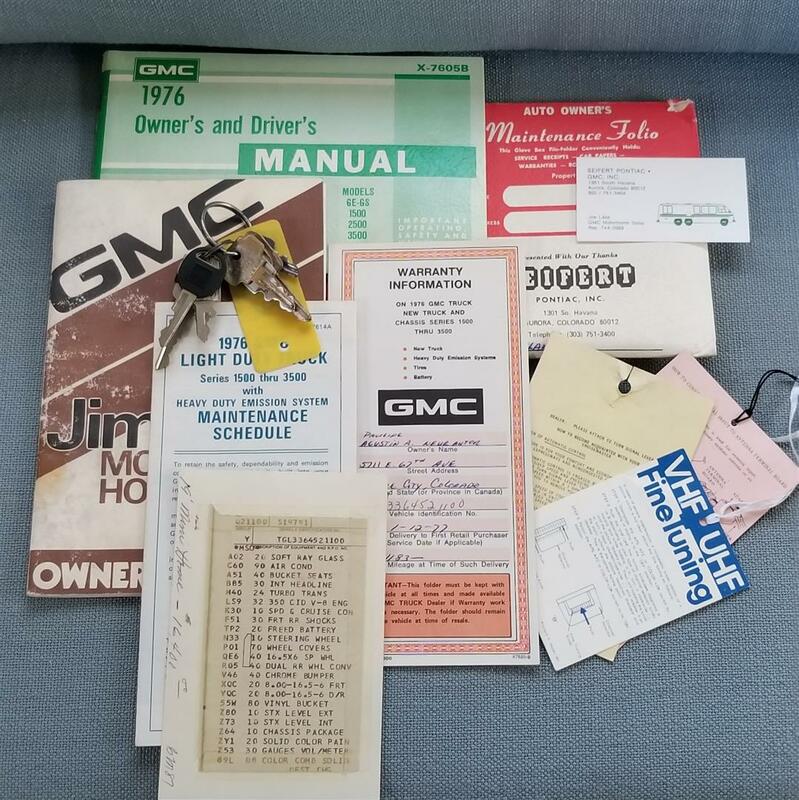 This GMC Jimmy Mini is turn-key ready to drive anywhere, fully restored, and has only 45k miles from new! 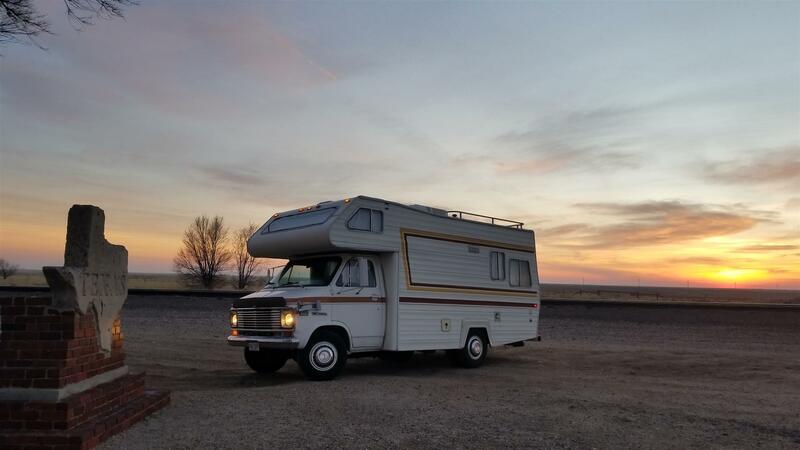 Whether purchasing for use or just nostalgic collectability, this GMC is one of the absolute best classic RV’s you will find.